Eagle Bronze, Inc. marketing division has been created to assist in making the dreams of artists, businesses or corporations into reality. With our knowledge of the art industry and our dedicated commitment to serve, Eagle Bronze, Inc. is positioned to track down and capture projects or art works that were once thought unattainable. Let Eagle Bronze, Inc. help place your art work or find the art work that you have been dreaming for your garden or front of your facility. Turn your dream into reality! 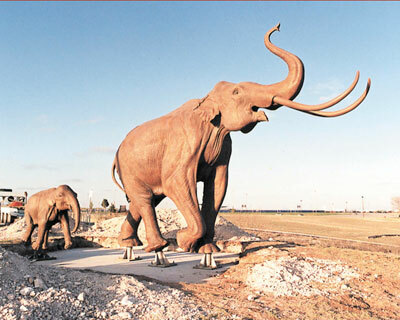 Having worked with companies such as the NFL, Cabela's, Bass Pro, Dallas Parks, the NRECA, Kevin Costner and the Dunbar Ranch, amongst many others as well as many local and state government agencies, we have an established track record for turn - key corporate art and public art. With our vast network of sculpture artists and full service foundry, for repairing, casting bronze sculptures we undertake any project from the design conception to the placement of the finished bronze sculptures, garden sculptures etc. We can provide the expertise needed to make the process, of turning a concept into a visual reality, a simple one. Once a concept is chosen, choosing an artist or image is a difficult process. We can offer design solutions and give you proposals from a panel of artists, keeping your decisions objective and giving you the freedom to manage your project without the worry. 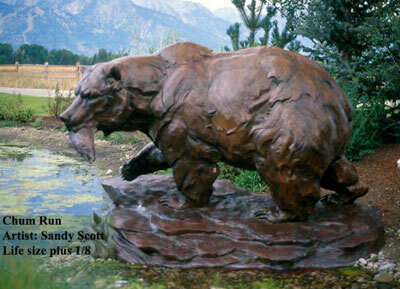 If you are looking to make your brand or logo into bronze or stainless steel sculpture, looking to place large bronze sculpture or garden sculpture on your property, need to find sculpture artists to make your project possible, or want to create your bronze or stainless steel sculpture from an idea or conceptual drawing, we can help! Art in Public Places or public art is no longer a daunting task. With our highly qualified and experienced staff, tackling a public art project has never been easier. Our turn – key solutions and sensitivity to both quality and timeline, make Eagle Bronze, Inc. the clear choice to help facilitate your next public art project. 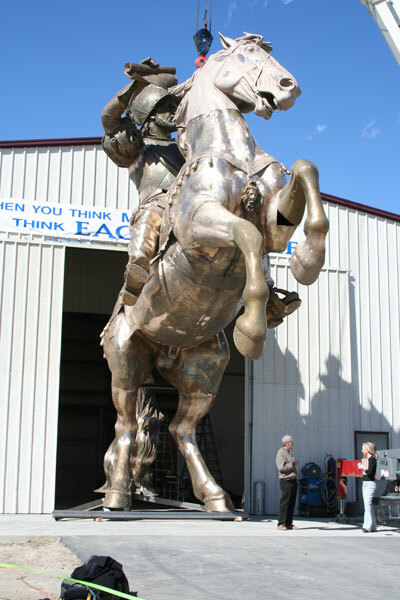 From corporate art, public art, to private art, Eagle Bronze, Inc. is the only company to believe in! "Eagle Bronze is a major player in the sculpture world." "...It (Lander) is viewed as an art center now, artists internationally come to have their work cast here." Eagle Bronze Gallery of Fine Art is located in downtown Lander, Wyoming on historic highway 287, the gateway to Yellowstone Park. It is home to art work from Walt Horton, Sandy Scott, Beverly Paddleford, Bud Boller, Bob Booth, Ken Payne, David Alan Clark, Jerry Palen, Ben Foster, Carol Cunningham, Christine Knapp, and many more. A gallery that has been visited by people from all over the world, and on many occasions has been compared to the galleries of New York City. With a full service foundry, brick and mortar fine art gallery, and a marketing team, Eagle Bronze, Inc. is unique in the art industry. It is this uniqueness that has positioned Eagle Bronze, Inc. as the front-runner in the acquisition and the placement of all things fine art. We understand the importance and the emotional draw that art represents. It is from this understanding that we can confidently offer our services.